Tomorrow is officially the first day of summer and what says summer better than visiting a splash pad? For those of us lucky enough to be living in the Ottawa area, a secret gem in the summer is the abundance of wading pools and splash pads across the area. Did you know that in Ottawa, there are 56 wading pools and splash pads all over the city? What's also pretty cool about our city's wading pools are the special events that take place all summer. Almost every weekend, there will Wading Pool Special Events. All special events are held from 11 am to 4 pm, featuring arts and crafts, games, prizes, and lots of time to stay cool. Some events even have featured guest activities, a free barbecue and a lunchtime Performing Arts Series between 11:30 and 12:30. A new feature this year are Friday Fun Days . Every Friday, you and the kids can visit one of the City of Ottawa wading pools and participate in kid-themed fun and games. You can also take part in the Waterplay program. This program uses fun and interactive games and learn-to-swim activities to offer a basic instruction in necessary water skills. This is a great opportunity for kids to have fun at the wading pools while also building foundational swimming skills and learning water safety. Waterplay is an informal program available to the public free of charge at all wading pools across the city. For kids who don’t want to get wet, but still want to hang at the pool, they can participate in Park-ticipate, a free, informal drop-in program offered at various water parks throughout Ottawa. Children aged 4 to 10 are invited to join city staff sports, crafts and games led by city staff. 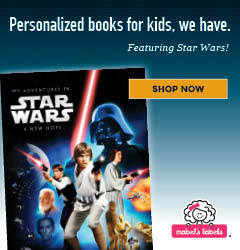 A great way for you to relax, as long as you stay close by. 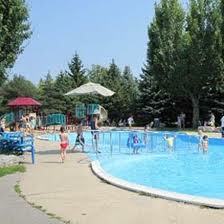 All the Ottawa area Wading pools are open daily from 11 am to closing time and will run from June 28 to August 16, 2013. Don’t know where to find a splash pad close to you? Use this City of Ottawa Map, to see where all the Splash pads are located. What's your favourite Splash Pad or Wading Pool in Ottawa?